Simon Sinek is an unshakable optimist. He believes in a bright future and our ability to build it together. Described as “a visionary thinker with a rare intellect,” Sinek teaches leaders and organizations how to inspire people. With a bold goal to help build a world in which the vast majority of people go home every day feeling fulfilled by their work, Sinek is leading a movement to inspire people to do the things that inspire them. A trained ethnographer, Sinek is fascinated by the people and organizations that make the greatest, lasting impact in their organizations and in the world. Over the years, he has discovered some remarkable patterns about how they think, act and communicate and the environments in which people operate at their natural best. He has devoted his life to sharing his thinking in order to help other leaders and organizations inspire action. Sinek’s unconventional and innovative views on business and leadership have attracted international attention. From American Airlines to Disney, from Deutsche Bank to MARS, from big business to entrepreneurs to police forces, Sinek has been invited to meet with an array of leaders and organizations in nearly every industry. He has also had the honor of sharing his ideas at the United Nations, the United States Congress and with the senior-most leaders of the United States Air Force, Marine Corps, Navy, Army and Coast Guard. With a vision to change the way businesses think, act and operate, Sinek is working with Ernst & Young to help transform company culture and create a better working world. 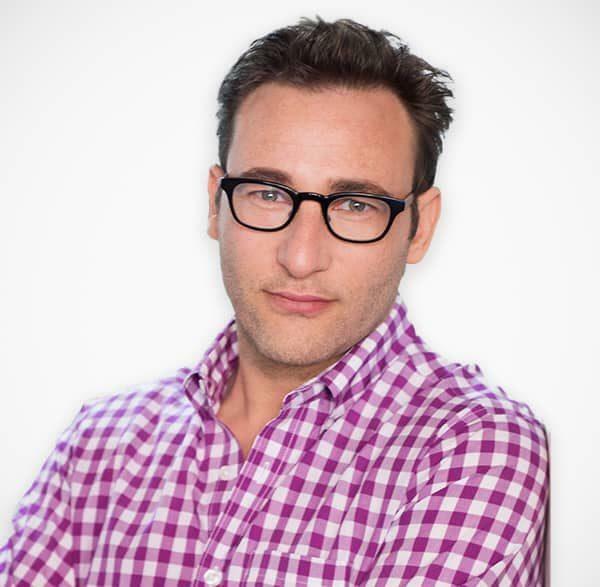 Sinek is an adjunct staff member of the RAND Corporation, one of the most highly regarded think tanks in the world. He is also active in the arts and in the non-for-profit world (Simon prefers to call it the for-impact world).